Wendy Johnson started selling agricultural land, ranches, recreational properties, and, probably her favorite, equestrian estates, in 2012 all over Texas. She owned and operated Oak Knolls Stables in St. Jacob, IL, until she relocated. She grew up in rural Illinois with horses, and they are still her passion to this day. 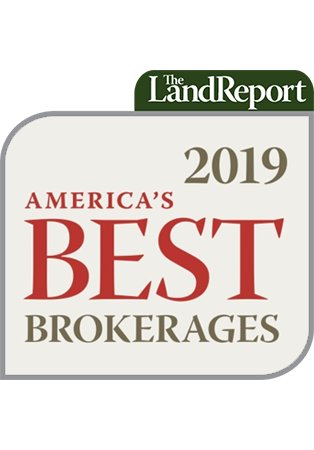 She has earned her Accredited Land Consultant (ALC) designation from the REALTORS® Land Institute and has received awards recognizing her achievements, including Rookie of the Year, Top Producer and Leadership. She has enjoyed success in the competitive equestrian arena, bringing home World and Reserve Championships. ELR: Wendy, as of January of this year, you became a United Country broker. Tell us about that. WJ: Travis Wolford of United Country reached out to me and I purchased United Country Texas Landmark Properties in January of this year. The United Country franchise provides tools and expertise that has helped me to get listings. The Company has an amazing marketing team that has helped me with skills necessary to represent clients in today’s market. My name recognition is expanding in the area, and having a successful company and team behind me allows me to better represent my clients. ELR: Tell our readers about your background. WJ: I grew up on my family’s farm in St. Charles, IL. At age 7, I started to ride and have competed across the country. God blessed me with an amazing husband of 20 years and 3 children. I was a paralegal for 15 years until my family decided to move to Texas. At that time, I had decided to leverage my legal background combined with my experience farming and raising horses to obtain my real estate license focusing narrow and deep in farm and ranch, agricultural land, rural acreage, equestrian and cattle facilities. ELR: Tell us about a couple of your favorite listings and what makes them special. WJ: Hidden Creek Ranch located in Terrell, Texas, is an exquisite ranch with unique features of nature and privacy consisting of a 4,100 sq. ft. home, saltwater pool, metal barn, multiple turnout pastures on 362 acres with wildlife habitat, and a creek combined with agricultural ground. This is the perfect combination of country charm, and convenience to dining, shopping, hospitals, and grocery stores. Exotic Edge Ranch located in Edgewood, Texas, is a stocked game ranch on 145 acres. The land has a stocked lake, multiple ponds, strategically placed for WMP. The ranch boasts a home with finish out, guest quarters, barn, workshop, arena, deep well, and city water at CR 3105, road frontage on CR 3117, CR 3108, and CR 3105. The topography varies from open pasture to treed hilltops. ‹ Looking Back At Clayton Williams Jr.